For more than 50 years, Columbia Winery has taken a progressive approach to winemaking. Columbia Winery was founded in 1962 by a group of 10 friends, six of whom were University of Washington professors. They believed that Washington State was a special place, and being at the same latitude as Europe’s best winegrowing regions, they saw no reason why Washington could not produce world class, quality wines from grapes grown right here. The founders appointed Master of Wine David Lake as head winemaker in 1970. This furthered the progressive spirit. 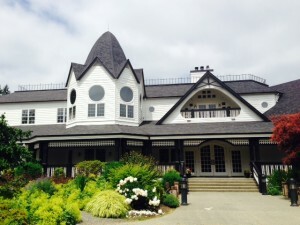 Under Lake, Columbia Winery produced the first series of vineyard-designate wines and the first Pinot Gris, Syrah and Cabernet Franc wines in Washington. This innovation continues with Columbia Winery’s talented and creative winemaking team, led by Winemaker Sean Hails. Using grapes selected from south-facing slopes in top quality regions, the winemaking team crafts a distinct portfolio of food-friendly wines with fruit-driven flavors and a firm acidity perfect to complement a variety of meals and occasions. These specially selected grapes bask in the warmth of the sun during the day and are balanced by cool, clear nights. This combination is ideal for producing intensely layered flavors, vibrant colors and excellent natural acidity. Where and how Columbia Winery obtains its fruit is just the beginning of the winery’s signature flavors. Columbia Winery winemakers exhibit the ultimate in flexibility for each varietal to ensure that every wine, every vintage is the best expression of a food-friendly wine from Washington State. These craftsmen hone their skills on fruit selection, blending and temperature controls to produce uniquely-made signature wines that over-deliver as fruit sourcing meets with innovative winemaking technique. A few of Columbia Winery’s 2013 selections will be available at the Seattle Wine and Food Experience for guests to explore and discover how special Washington is as a winegrowing region and how Columbia Winery’s winemakers harness the grape goodness, crafting special food-friendly wines. Columbia Winery’s Chardonnay offers bright aromas of pear, apple and hints of tropical fruits that extend to the palate. Balanced acidity and integrated sweet vanilla oak notes create an elegant wine that is distinctly Northwest. Perfect with Dungeness crab or mussels. Columbia Winery’s Merlot is deep purple in color and alludes to enticing plum aromas with hints of spice. On the palate, dark berry fruit flavors are met with pronounced notes of toasty oak and vanilla for a textural mouthfeel. Rich and mouth-watering this wine has a lingering finish. Enjoy with beer tenderloin or roast chicken. Columbia Winery’s Cabernet Sauvignon is rich and full-bodied with firm tannins and ripe dark fruit flavors of blackberry and black currant layered with notes of toasty oak and cocoa. Select this bottle with hearty stews, roasts or wild game meats. 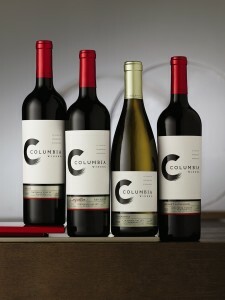 Come visit Columbia Winery to sample recent releases at the Seattle Wine and Food Experience, Sunday February 21.